This year’s event will be on Wed., Oct. 31 from 5.-8 p.m. We will have trunks set up along Moundville Town Square and all the way down to Moundville Methodist Church. We are asking if you are willing to decorate your trunk this year to please contact Shanda Johnson (205) 614-0154 or Rachel Johnston (205) 500-8058 to receive a number for your parking spot. We are doing things differently this year regarding parking to help with crowd control. We are also in need of a lot of candy donations. You may drop candy off at the Moundville Public Library. This will once again be a free event for all families to attend. We need the support of all local businesses and the community to make sure this year’s event is even bigger and better. More details will be released closer to the event. Jemison Mansion (Old Public Library) This mansion turned library turned tourist attraction/wedding venue is said to be haunted. Visitors report cold spots, strange feelings and an eerie “presence”. It was one of the first houses of its time to have running water and a coal heating system. Robert Jemison Van de Graff, Jr. built the home in 1859. He was a state senator and the inventor of the Van de Graaff generator. It is believed that Mr. Van de Graaff’s daughter, Priscilla Cherokee and her husband, Andrew Coleman Hargrove, haunt the house. Mr. Hargrove suffered for years from an incurable headache caused by a bullet wound to the head. Eventually he could no longer take the pain and shot himself in the home’s library. Priscilla was distraught over her husband’s suicide and fell into a deep depression and wild hysteria. After eight years of such suffering, she died. Drish House People claim to see lights in the mansion when no one is there and there are also reports of the tower being engulfed in ghostly flames. Several tragedies befell the Drish family including suicide, murder and insanity, all within two generations. The first tragedy within the family was that of daughter Katherine. Katherine was forced to marry a man her father chose for her instead of the man she truly loved and became deeply depressed after the wedding. Her husband, unable to handle his wife in this condition, returned her and their two young boys to the mansion. He divorced her soon thereafter. Katherine could never function properly afterward and had to be locked in her room at night and followed about during the day to ensure that she didn’t hurt herself. Dr. Drish had a penchant for drinking and gambling and soon drove his family to the brink of ruin. One evening, as he was suffering from delirium, he ran from his bed and headed towards the staircase. He fell halfway down the stairs and died. One of the most interesting stories about the old mansion, however, is that of the ghost fires. A custom, at the time, was to place candles about the room where a body was laid to rest. Dr. Drish’s wife Sarah conducted this ceremony for him and put the candles in a drawer with the hope that they would be lit for her as well when she died. Her ceremony was forgotten. One evening after her death, the slaves on the grounds noticed that the tower was on fire and called for the fire crew. When the crew arrived the flames had disappeared, along with any sign of having burned. Once the fires disappeared, so did the ghost of Mrs. Drish. Hay Hall One of the rooms is supposedly haunted by a girl who used to live there. Gamma Phi Beta House Although this haunted spot can be found on most ghost websites, there are very few accounts to be found. Reportedly the bathroom taps turn on by themselves and doors slamming. Old Bryce Hospital A former insane asylum with a reputation for treating its patients cruelly (especially black patients of which there were a disproportionate amount), this place is an obvious choice for claims of haunting. People claim to feel hot and cold spots, see items moving and hear ghostly sounds and footsteps. Moundville Archaeological Park At these historic Native American mounds, reports say, ghostly drums may be heard at night and lights may be seen coming from one of the larger mounds that looks like a pyramid. As well as the sounds of a phantom horse. Gaineswood Plantation We felt we couldn’t leave out Gaineswood since it’s so close to home. A young woman who died while visiting the plantation is said to haunt Gaineswood. angry that she was not promptly returned to her home state for burial. Her anger must not be too great however, as she mostly expresses it by playing the piano, tickling the ivories and visitor’s fancies with long-forgotten melodies. The Whatley House The house as built on old slave quarters. It was said to have a cemetery under the house. Things have moved and noises with no known source heard. Carrollton, Alabama was visited on April 5, 1865 by troops of Union General John T. Croxton. The visit from the troops left Carrollton without a commissary or a court house, both of which were torched, burned. Having no military value, it is still to this day not known why such an action was ordered. Less than twelve years later, Carrollton faced another devastating loss. A second court house was burned. This time it was not the work of military, yet it was done by a local man, Henry Wells, on November 16, 1876. No arrest was made until January of 1878. Henry Wells, an African-American man with a criminal background was the suspect. Law enforcement (the sheriff) placed Henry Wells into the newly built courthouse, erected in 1877, after arresting him. Wells was placed in the garret, hoping this would keep the angry mob from reaching him. “I am innocent. If you kill me, I am going to haunt you for the rest of your lives!”, cried out Henry Wells. Lightning struck the window pain just after he had made this comment. His face was pressed against the glass as this happened. Legend states that the mob did catch Henry Wells and that he was indeed lynched. Townspeople were upset that their treasured courthouse had been destroyed. Washing the window with gasoline nor scrubbing with soap will erase the face of Henry Wells. A hail storm in 1929 is reported to have broken all windows in the courthouse except for the one showing Henry Wells’ face. During thunderstorms it is said that Henry can still be seen peering out of the window as though if really there in the flesh. Whatever the rumors about this man may be, there is an image of his face on the window. Different stories yield different versions of the real death of Henry Wells. Stories told over the years tend to make exaggerations and leave out parts and add parts where one deems necessary. As though looking into two mirrors facing one another you can see for what seems like “forever”; Henry Wells still looks down from the courthouse window. For this story I have read his biography, every news article I could find, and interviewed Dr. Alan Brown, and even had him take me on a tour of Livingston to show me the locations of the events I will tell ya’ll about and film. I will give you what facts I have and some of the myths surrounding him. Fact: Stephen S. Renfroe was originally from Georgia. His Family moved to Butler County, Ala. when he was young. During his young adult life he was a farmer, a Civil War veteran, a sheriff, a politician of sorts, and high ranking member of the Ku Klux Klan. His criminal endeavors are as such: he was implicated in over a dozen murders (with 5 of those having multiple witnesses) (it was like the “Old Wild West,” just down south), he was a thief of multiple horse and mule, he broke into many homes to steal valuables then set fire to said homes, set fire to a government building(he burnt down Livingston’s old wooden court house to cover up one of his murder charges), kidnapped and held hostage a news reporter that was trying to find info on him, and embezzled money from county and city funds (which he died while he was Sheriff here in Livingston). He was never convicted of any of this. He was arrested 5 times and escaped 4 times between Livingston and Tuscaloosa. After his 4th breakout from jail he was forced to hideout in the “Flat Woods,” which was a long patch of desolate forest between Livingston and Meridian, Miss. He was forced to hide as the story of his crime and escapes were being covered from New York to Mobile. At the time of his final arrest he had multiple warrants from both Meridian and Livingston for theft of 2 different mule, theft of a horse, theft of silverware and jewelry, grand larceny and murder. He was captured and held until Tuesday, July 13th. It was rumored and believed that, to gain immunity and get out of jail, he was going to snitch on his fellow Klan members. So, on that date a group of 20 men “stormed” the jail to collect Renfroe. He was drug through town down to the Sucarnochee River where the Old Wooden Bridge used to be. By the bridge the posse tied a rope to a Chinaberry tree and hung him. On his back was a note that read “The Fate of a Horse Thief.” There was not a funeral or ceremony of any kind. Being that he was an outlaw he was not granted burial inside Livingston cemetery. It was placed in between 2 of his 3 wives headstones. So, because of the unmarked grave, the trash pit, and the random appearance of the new headstone on the other side of town(almost in Eppes) some people are of the opinion that it can not be know of Stephen S. Renfroe’s final resting place. Some believe he simply may be at the bottom of the Sucarnochee. The tree replies “Nothing!” Seriously, I’m not making it up. Every child should be able to experience the joy and tradition of trick-or-treating on Halloween. 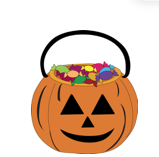 But kids with food allergies are often left out of the fun, since most candy is off limits. Food allergies are a life-altering and potentially life-threatening disease, and a growing public health issue. In the U.S., one in 13 children has a food allergy – that’s roughly two in every classroom. For these children, even a tiny amount of their allergen has the potential to cause a severe reaction. Virtually any food can cause a reaction. Many popular Halloween candies contain nuts, milk, egg, soy or wheat, which are some of the most common allergens in children and adults. Additionally, many miniature or fun-size versions of candy items contain different ingredients than their full-size counterparts and some miniature candy items may not have labels, so it is difficult for parents to determine whether these items are safe for their child with food allergies. Non-food treats provide a safe, fun alternative for children with food allergies and other conditions for whom candy may present a problem. FARE’s Teal Pumpkin Project helps make sure all children will come home on Halloween night with something they can enjoy. It just takes one simple act: offering non-food treats, such as glow sticks or small toys, as an alternative to candy. Last year, households from all 50 states and 14 countries participated. This is a worldwide movement to create a safer, happier Halloween for all trick-or-treaters. The goal is not to exclude candy from the Halloween tradition. The goal is simply to ensure that children with food allergies – and other children for whom candy is not an option – are able to enjoy a safer, happier Halloween. Trick-or-treaters typically receive pounds of candies and chocolates, and we’re sure they will continue to collect plenty of candy. Many kids, whether they have food allergies or not, enjoy the experience of receiving little toys and other fun items that they can keep. Can I still pass out candy? Sure – just do it safely! The point of the Teal Pumpkin Project is to make trick-or-treating as inclusive as possible. You can keep the experience safe by keeping your food treats and non-food treats in separate bowls. How to Take Part Provide non-food treats for trick-or-treaters: Glow sticks, bracelets, or necklaces Pencils, pens, crayons or markers Bubbles Halloween erasers or pencil toppers Mini Slinkies Whistles, kazoos, or noisemakers Bouncy balls Finger puppets or novelty toys Coins Spider rings Vampire fangs Mini notepads Playing cards Bookmarks Stickers Stencils Place a teal pumpkin in front of your home to indicate to passersby that you have non-food treats available. FARE thanks FACET for their ongoing partnership as we work to reach families across the country and around the world with the Teal Pumpkin Project’s messages of awareness, inclusion and community. For more information visit http://www.foodallergy.org/teal-pumpkin-project. Cross the street at corners, using traffic signals and crosswalks. Look left, right and left again when crossing and keep looking as you cross. Put electronic devices down and keep heads up and walk, don’t run, across the street. Teach children to make eye contact with drivers before crossing in front of them. Always walk on sidewalks or paths. If there are no sidewalks, walk facing traffic as far to the left as possible. Children should walk on direct routes with the fewest street crossings. Watch for cars that are turning or backing up. Teach children to never dart out into the street or cross between parked cars. Trick or Treat With an Adult Children under the age of 12 should not be alone at night without adult supervision. If kids are mature enough to be out without supervision, they should stick to familiar areas that are well lit and trick-or-treat in groups. Keep Costumes Both Creative and Safe Decorate costumes and bags with reflective tape or stickers and, if possible, choose light colors. Choose face paint and makeup whenever possible instead of masks, which can obstruct a child’s vision. Have kids carry glow sticks or flashlights to help them see and be seen by drivers. When selecting a costume, make sure it is the right size to prevent trips and falls. Drive Extra Safely on Halloween Slow down and be especially alert in residential neighborhoods. Children are excited on Halloween and may move in unpredictable ways. Take extra time to look for kids at intersections, on medians and on curbs. Enter and exit driveways and alleys slowly and carefully. Eliminate any distractions inside your car so you can concentrate on the road and your surroundings. Drive slowly, anticipate heavy pedestrian traffic and turn your headlights on earlier in the day to spot children from greater distances. Adulterated candy isn’t the only hazard that kids face on Halloween, according to the California Poison Control System (CPCS). Keep them safe this Halloween with these 10 tips. 1 Glow-in-the-dark jewelry and glow sticks are used by parents to keep their children visible while trick-or-treating. Children may break open these glow sticks getting the liquid on their hands and in their mouths which can be mildly irritating to the skin or eyes but is not likely to cause harm if a small amount is ingested. 2 Children should not eat treats until they return home and all items have been inspected by an adult. Torn, loose or punctured wrapping may be a sign of tampering which should be reported to the police. 3 Limit the amount of candy ingested at one time. Too much candy can cause stomach discomfort, and sugars and other sweeteners can act as laxatives when consumed in large amounts. 4 If a child brings home a brand of candy that is not familiar, throw it away. Some imported candies have high levels of lead that can be harmful. 5 Candy that is unwrapped should be discarded immediately. 6 Fruit treats should be washed and cut open before being eaten. 7 Homemade treats should be discarded unless the individuals who prepared them are well known and trusted. 8 Small pieces of candy are potential choking hazards for small children. 9 Fog making machines can use hazardous liquids. Dry ice should never be handled with bare hands, and the gas produced must be well ventilated. 10 Some Halloween makeup contains lead as do many regular cosmetics. Check www.safecosmetics.org for safe makeup to use on children. Call Poison Control at 1-800-222-1222 (number is the same in all states) for questions about Halloween or other poison encounters. Trained pharmacists, nurses and other providers are available to help 24 hours a day, seven days a week. The service is free, confidential and interpreters are available. Get weekly tips about safety by texting TIPS to 20121 for English or texting PUNTOS to 20121 for Spanish. Follow CPCS on Facebook and on Twitter @poisoninfo. CPCS is part of the University of California San Francisco School of Pharmacy and is responsible to the California Emergency Medical Services Authority.